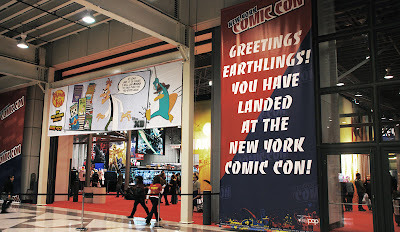 The New York Comic Convention has begun! 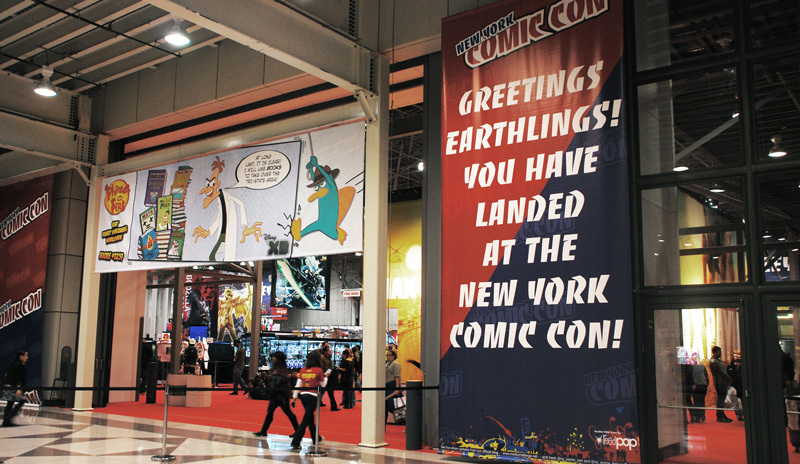 There are more comic books and comic book fans there than I could probably even imagine. 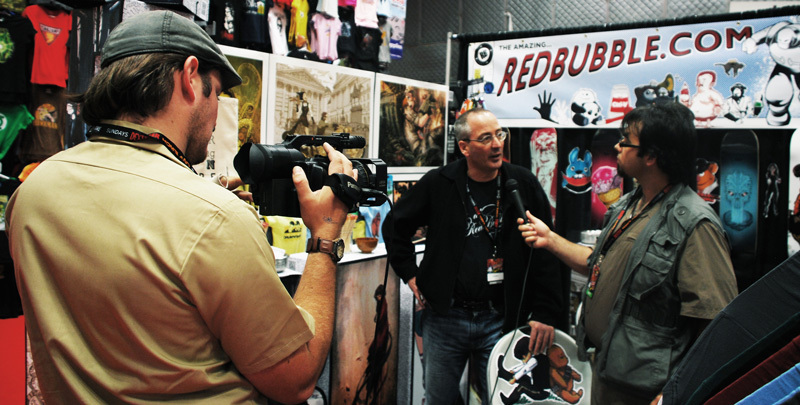 I would like to go there, just to meet some of the artists to ask them questions about the "how to's" of what they do. I know it would help me improve my t-shirt designs. 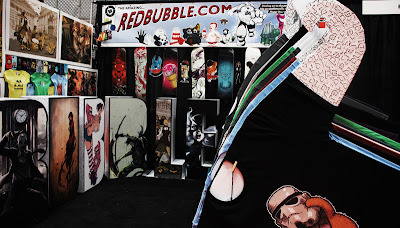 This year is really special because RedBubble has a booth there. They took some of our designs to show off to promote business. You can't see all of them from these few photos, but judging from the chatter, they chose some really great designs from some of the most talented artists on the bubble. And last, but not least is the money shot. Look at the "RedBubble.com" banner there. You see the row of designs along the bottom of it? Look closer at the first design in line. Yup! It's the rabbit. Rabbit Hand Shadow made it all the way to NYC. Not bad coverage considering he's less than a year old, and made it there all the way from Buffalo Biscuit, Thailand. My 15 minutes of fame at last! Hoot, whistle, and applaud at will! Special thanks and a hearty handshake to OneTonShadow for getting the rabbit on the NYC Comic Con deal!